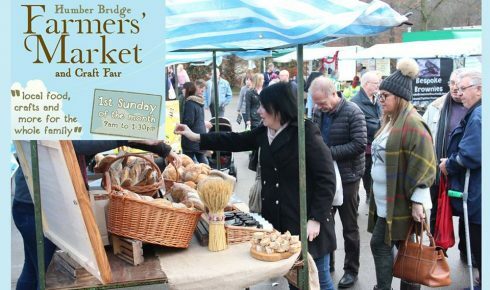 Humber Bridge Farmers’ Market – back on Easter Sunday! We are looking forward to our first Humber Bridge Farmers’ Market on Easter Sunday! This event, which has been running for 10 years, attracts a lot of really interesting local traders from Yorkshire and beyond, and we look forward to welcoming regular traders as well as a few new faces. The event will run from 9am to 1.30pm. Please do come down and enjoy the on-site parking, and hopefully a bit of spring weather! The postcode to find us is HU13 0HB. See you there!